When it comes to protecting our youngest passengers on the road, child seat installation is required. While all restraints have some common aspects to their installation, each type and brand will have some unique requirements that must be complied with in order to achieve a proper installation, and as such, a professional installation is recommended. As RACQ approved child seat installers, you can rest assured knowing your youngest passengers are safe. Our team will show you how to properly install the child seat, giving you clear and helpful instructions. 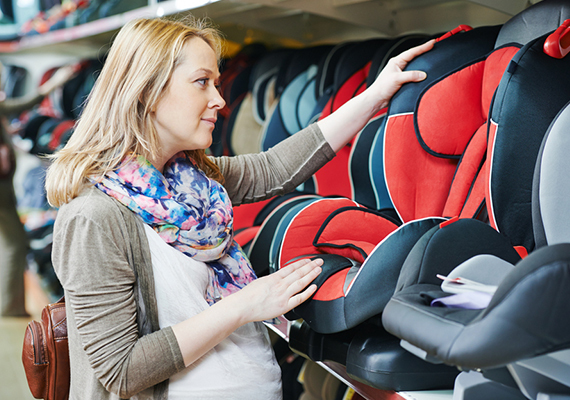 Whatever you drive, our team know the best places to to install a child seat in your vehicle. Depending on the make and year of your vehicle, child restraint anchor points may need to be installed before a proper child seat installation can be completed, and this typically requires specialised knowledge and solutions to address. If you do decide to perform a child seat installation yourself, RACQ recommend the following be considered to ensure maximum protection. To book a child seat installation, contact RACQ on 13 1905 now. Need a Child Seat Installed? If you don’t feel confident in doing a child seat installation yourself, we are here to Assist. Automotive Assist Service Centre is an approved RACQ child restraint fitting centre, providing both anchor point and child seat installation. An adult (preferably the end user) must be present at the time of the installation as our installer will demonstrate the correct method of adjusting the restraint to suit a growing child. Payments for installation are required at the time of booking with discounted rates available for RACQ members.